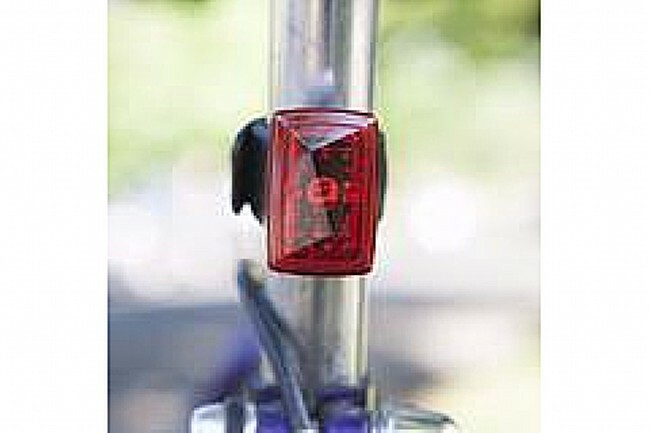 A bright, safe commute doesn't have to mean strapping lights and reflectors to every surface imaginable. 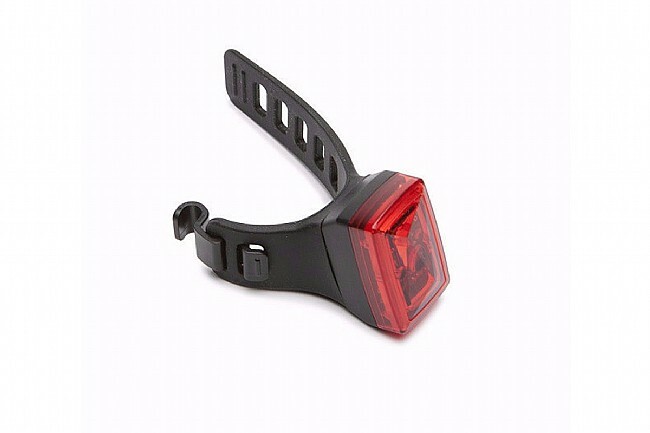 With the Portland Design Works Asteroid Tail Light, you get a hassle-free USB rechargeable tail light that provides up to 35 hours of illumination. An integrated silicone strap and a double-click front lens means that your light is always with you, and accidentally turning it off becomes virtually impossible. 3 Modes: Flash (35 hours), Pulse (6.5 hours), Steady (4.5 hours). Micro USB recharging cord included. Weight: 76 g (2.7 oz). Love this light, last for EVER before recharging. Getting ready to bike across the US next week, this will be my go to light. Wildly simple to attach, move and use. Charged it once two weeks ago, haven't had to charge it yet. Simple operation (I often forget to start it before the ride, easy to simply reach down and double-tap the lens to get it going). Only improvement I could ask for is a slower flash mode - the flash mode lasts forever, but it's a little frenetic for anyone following. Slower-paced flash would be great. Still a great product. Can't ask for more in a taillight. I can use it for two hours a day for at least 2 weeks without having to charge. This is perfect. Super easy to swap between bikes too. I put it on my wishbone seat stay or bridging two normal seat stays. Easy to attach and re-charge. I've had this on my bike now for about a month, riding 3 to 4 times a week, and it has yet to need a re-charge.